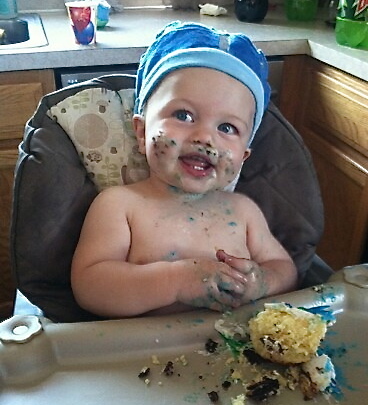 Yesterday was my grandson Tanner 1st Birthday. 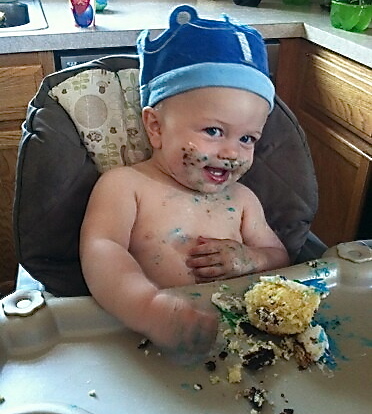 He decided that it was much easier just to put his face in the cake instead of his using hands to eat it. These are a few photos that didn't have his face buried in the cake. He is a little poser!